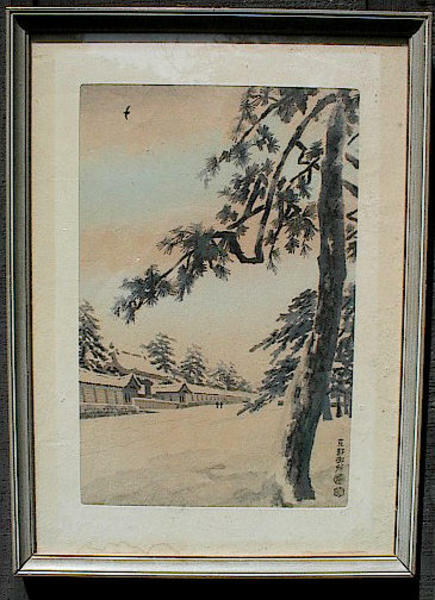 [Go Back] [New Search] Details for Kotozuka Eiichi (1906-) "Unknown- Kyoto"
This is a Framed under Glass Japanese Woodblock. 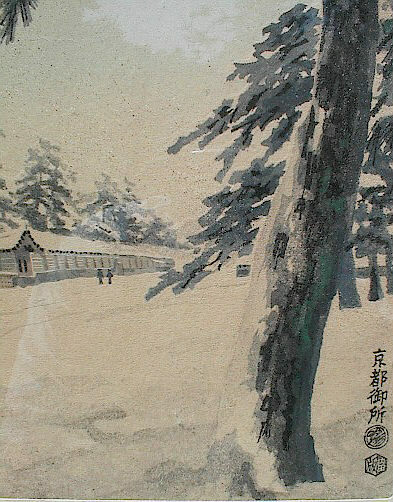 Since I don't read Japanese, the Artist is Unknown - if anyone can translate this for me, please e-mail. It's in FINE condition and the frame is in fair condition. I can remove the print from the frame to save on shipping costs. The matted image measures 10" x 15" and the frame is 15" x 20".